We tried out 3 meals: a spicy chicken with couscous, a spaghetti bolognese and a spanish-style potato and chickpea stew. These were just some of her initial comments. She made chicken the first night and I helped her make the spaghetti bolognese the 2nd night. We also made the third one together. I’ll say this. Each meal had extremely generous portions, so you definitely get your money’s worth. There’s nothing like going out to eat or ordering food and finding that your portion size is too small – especially for Americans. We’re used to big portions. 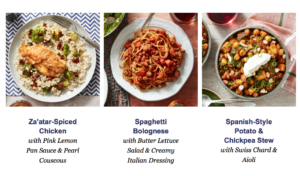 Paying for something that’s going to be delivered and takes some prep – I’d expect it to be a decent size and these meals didn’t disappoint. I would almost put each meal at 4 portions, as my wife doesn’t eat much and I probably eat 2 portions. We had a small amount of leftover after each one. Here’s a screenshot of one of our meals we prepped ourselves – look how fresh this is! In terms of flavor, the meals did not disappoint. Not only was the food fresh and tasty, but each was completely unique. I would not hesitate to use these for a special meal for the family, having some friends over or otherwise. It’s not “generic”, bland or boring by any means. A mix of primary, sides, spices and fresh herbs makes for a great meal. Blue Apron is smart in that they seem to bulk-purchase their meals each week and give you a decent-sized selection to choose from each week, but by keeping it to a reasonable number of choices (instead of any one of a hundred at any given time), they are able to both keep their costs down and deliver the freshest food based on what’s in season. This is a similar approach some up and coming restaurants take, except, here you can experience it in your home. My wife cited some additional fringe benefits of using the service. 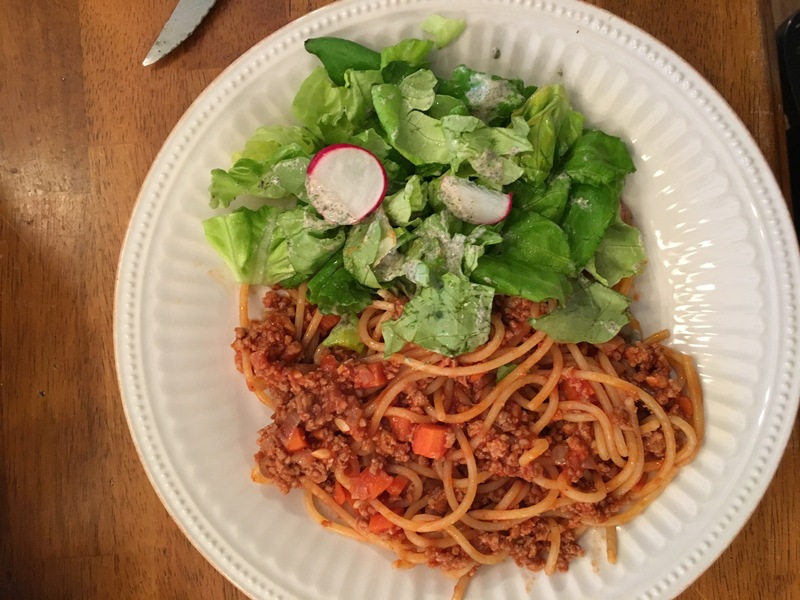 She has actually kept all the recipes and plans on using them again – even if she can’t re-order the same meal from Blue Apron as it goes out of season, she can just make the same meal she loved using the recipe she saved (which she says were very well-written and easy to follow). I’m SAVING 7% at LOWES & 12% at STARBUCKS for Life – So Can You! eCampus Review – Online Rental Textbooks. Genius! Previous post: What Is The Application Process?